Am sure Kenyans has learned an important lesson by now that "Don't display your expensive stuff" keep it to your self, after all that will only last for a few days and everybody will forget. As the deadlines approaches for Kenyans to file their tax returns, the tax man has been seriously busy looking for those who have not been filing their returns. But the trick is this, the tax man has just decided to begin with those who have beed showing off like Laura Akunga and the rich guys with Ferrari and Rolls Royce. The expensive rides which have been turing our heads in Nairobi cit have also been doing the same to the tax man, which has made him to dig deeper into their tax report. And as it turns out they have not been taxed. 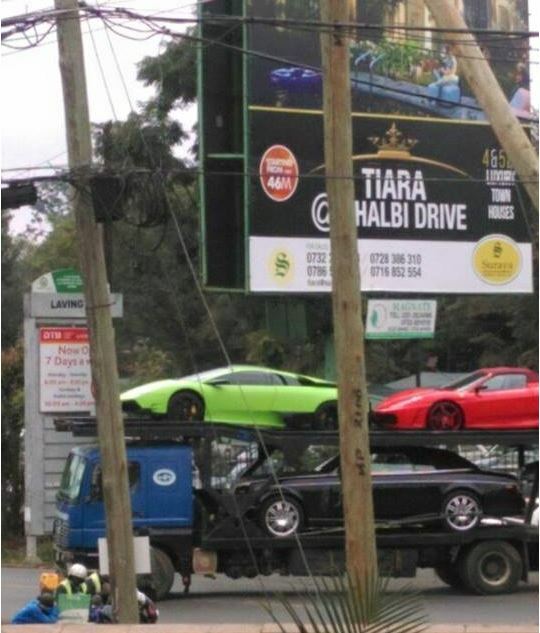 Lamborghini, the Ferrari and the Rolls Roytce have reportedly been impounded by Kenya Revenue Authority over tax issues.